We would like to welcome all of our incoming Upper Elementary students for the 2018/2019 school year. We are very excited to be working with your child and look forward to getting to know each student! As we take on a new year, with endless possibilities, it is important to know that our classrooms will function as a community of responsible learners. Here is some important information to keep in mind. The following items are materials your student will need on a daily basis. The following items are materials we will use daily, but they will be shared among all students in the classroom. We do this in an effort to make supplies last all year. A detailed letter containing specific classroom policies and procedures will be posted on the school’s website in August. 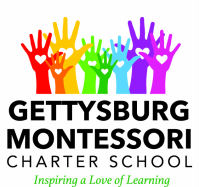 To access this letter, please visit gettysburmontessoricharter.org, locate the tab that is labeled “Our Classrooms,” and click on Miss Jarvis’ or Ms. Rickell’s 5th and 6th grade tab. Please review this information before school begins. If there are any questions, please do not hesitate to email one or both of us at katie@gettysburgmontessoricharter.org or nicole@gettysburgmontessoricharter.org.